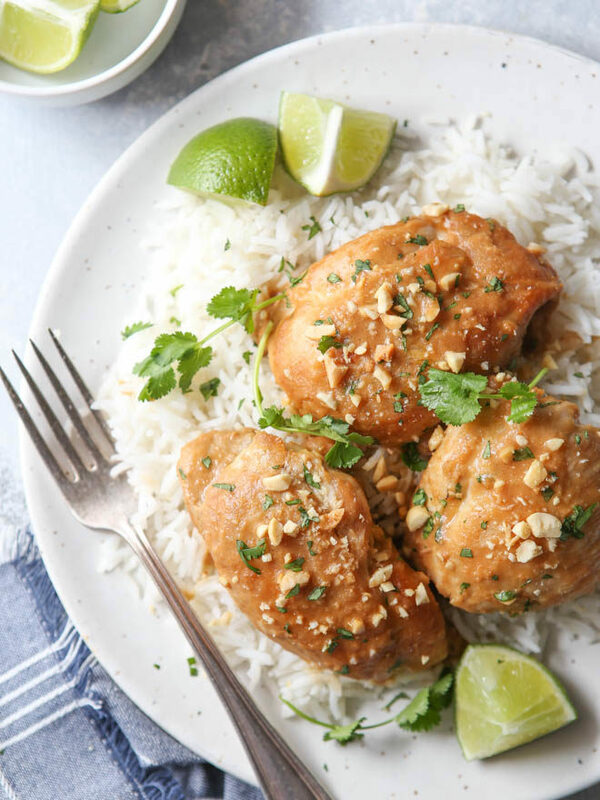 Tender chicken thighs in a lime-peanut sauce made quick and easy in an Instant Pot! Who has an Instant Pot or pressure cooker? 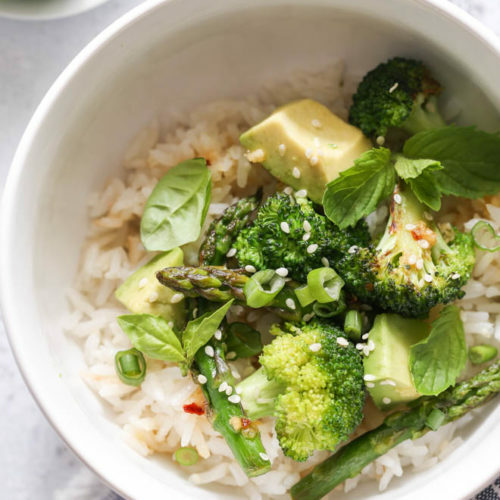 Who is a little intimidated by pressure cooking? My Instant Pot seriously sat in its box in a corner of my office for months before I finally got the courage to figure it out. And once I did, I discovered it wasn’t hard or scary at all! One of the things that helped me the most when I got started with my Instant Pot is my friend Barbara’s site Pressure Cooking Today. Her recipes and video demonstrations were a lifesaver, and I still make dishes from her site all the time. And now Barbara’s new book, The Electric Pressure Cooker Cookbook is here to help us all take our pressure cooker game to the next lever. 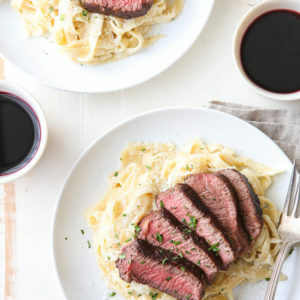 It’s filled with 200 simple recipes— everything from three-ingredient pulled pork, to beef bourguignon done in less than an hour, and even desserts like New York cheesecake. My favorite section of Barbara’s cookbook is the chapter dedicated to 30-minute meals. It’s where I found the recipe for this easy Thai chicken, and so many other meals that have become favorites in our house. 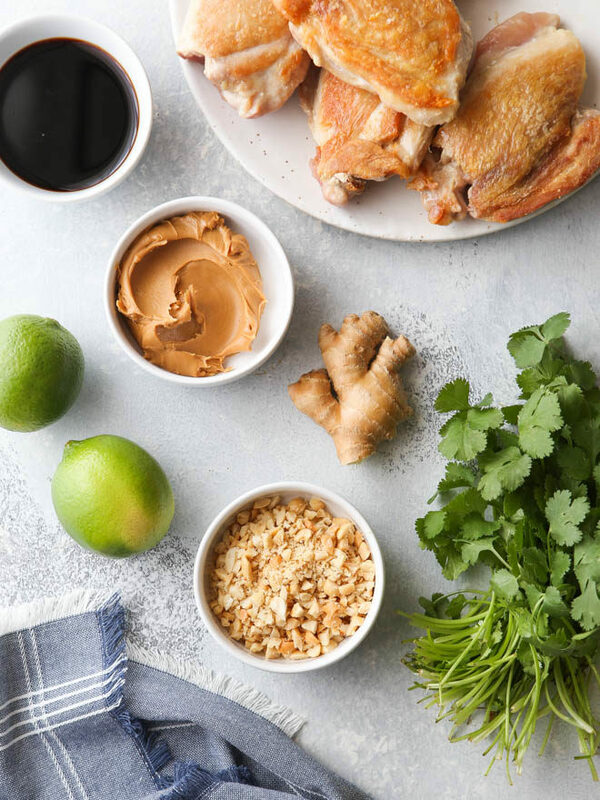 This Thai chicken is super simple— it’s just chicken thighs, broth, peanut butter, soy sauce, and ginger— and it takes just a few minutes of prep and only 9 minutes in the Instant Pot. That’s a meal for my family that I can manage on even the busiest of nights! 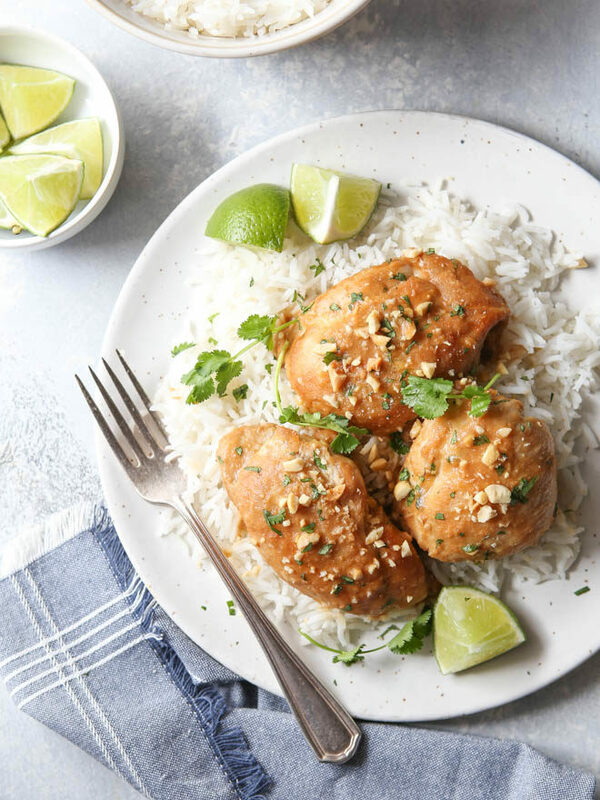 Finish the chicken with limes, cilantro, and chopped peanuts, and it’s meal everyone will love, too. 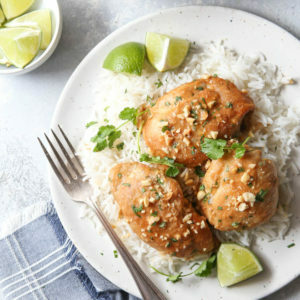 I prefer to serve this Thai chicken over steamed basmati rice, but you can serve it however you like! 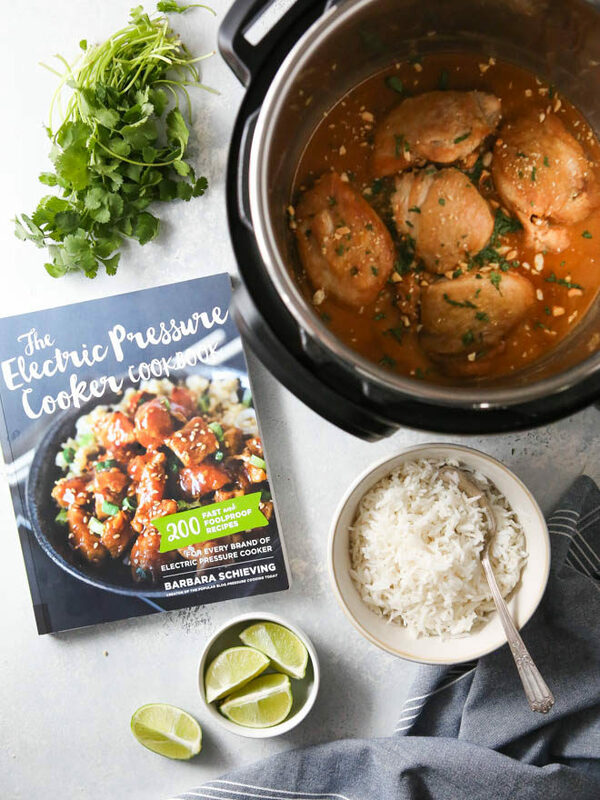 You can purchase The Electric Pressure Cooker Cookbook online here. Be sure to also check out Barbara’s blogs Pressure Cooking Today and Barbara Bakes! Select "Browning/Sauté" on your electric pressure cooker and add 1 tablespoon oil. Sprinkle chicken thighs with salt and pepper. When pressure cooker is hot, add half of chicken thighs to brown, about 3-5 minutes. Transfer to a plate and repeat with remaining oil and chicken thighs. Add chicken broth to the pot while hot and scrape up any browned bits from the bottom. Stir in peanut butter, soy sauce, ginger and cayenne pepper. Return chicken and any juices to the pot and secure lid, making sure pressure release is set to "sealing". Select "High Pressure" and 9 minutes cook time. When cook time ends, use a quick pressure release. When valve drops, open pressure cooker and stir in cilantro and lime juice. Serve chicken over steamed rice, or as desired. Top with peanuts, lime wedges and more cilantro. Recipe from The Electric Pressure Cooker Cookbook by Barbara Schieving. Disclosure: I received a free copy of The Electric Pressure Cooker Cookbook. All opinions are always my own. 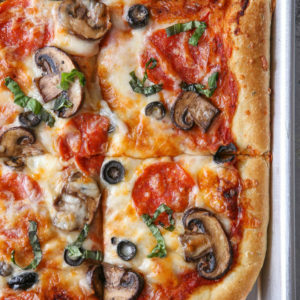 If I made this with boneless, skinless chicken thighs, would it affect cooking time? 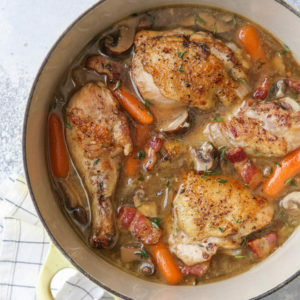 This recipe is for boneless chicken thighs! I’ve added clarification to the ingredient list. This chicken never look better. Great job! Glad you’re loving the cookbook. Thanks for the great review. Is this enough liquid? I thought that you needed more. Hi Michelle! The chicken will actually release itself from the bottom of the pan when it’s properly seared. If you try to flip it too early, yes, you’ll find that it’s completely stuck. Next time just wait a little longer and you should be able to flip no problem. Hope this helps! This is the second thing I’ve made in my IP (the first was the rice for this dish, which I made about 2 minutes before I made this chicken!). Thanks for the reminder about setting it to sealing LOL nearly missed that after cooking the rice. just made this for my husband. I’m vegan so I didn’t taste it but he said it was great. I ended up sauteeing the chicken for about 7 minutes instead of 3-5, because it didn’t seem browned. I flipped halfway through so maybe that was why. Then I pressure cooked the full prescribed time. Hubby said it was still cooked perfectly. The sauce looked delicious.